Home Archive for category "Save Kimono"
I always need support for saving Kimono more than 1000years later. Support Saving Kimono project Thanks mail $10.00 USDThanks post card from Tokyo $30.00 USDThanks letter from Tokyo with photo book $50.00 USD I will use the money for cleaning the donated Kimono. The Kimono is made from silk so I need to bring them to special cleaner. 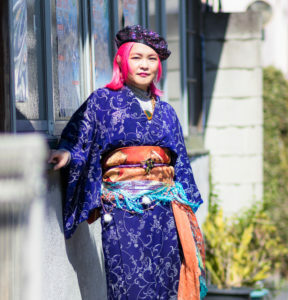 And if I got extra I will make next Photo book for Neo Kimono style. Thank you for your support!! !